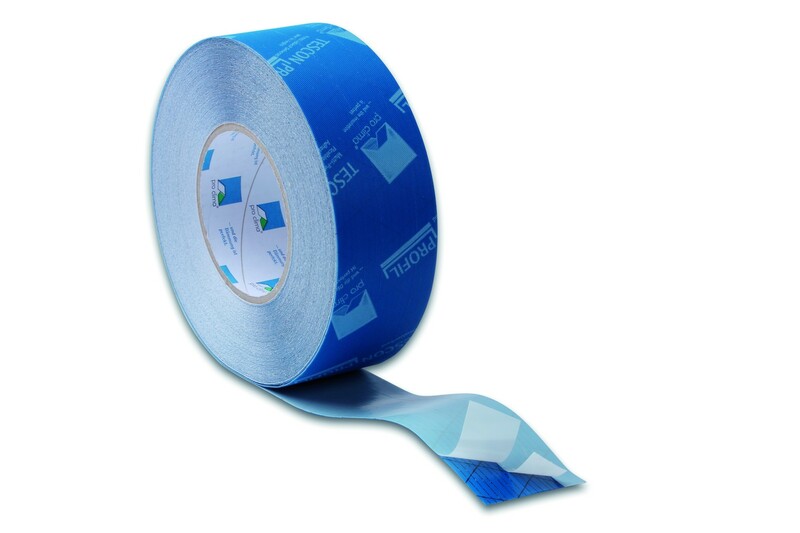 A flexible waterproof airtight sealing tape with split release paper to make airtight connections of corners, windows and uneven surfaces. Suitable for interior and exterior use. Segmented Siliconized PE release paper. Allowing you to "activate" a single part of the adhesive surface and to seal corners step by step. Made of flexible polypropylene creating an excellent bond with uneven substrates. Corner seal­ing of air­tight­ness or windtight­ness lay­ers, e.g. on win­dows and doors, as well as oth­er corner joints on struc­tures, in­doors or out­doors, in­clud­ing joints between roof and wall in­stall­a­tions on sark­ing mem­brane, roof lin­ing mem­brane or wall lin­ing mem­brane. The bonds meet the re­quire­ments of DIN 4108-7, SIA 180 and OENORM B 8110-2 as well as bond­ing to wood-based pan­els. Substrate - Be­fore bond­ing, the sub­strate sur­face should be swept clean with a broom or wiped with a cloth. Bond­ing to frozen sur­faces is not pos­sible. The sub­strate ma­ter­i­al must be free of wa­ter-re­pel­lent sub­stances (e.g. grease or sil­ic­one). The sub­strate must of­fer suf­fi­cient load-bear­ing ca­pa­city. A per­man­ent bond is achieved on all pro clima in­door and out­door mem­branes (va­pour re­tard­ing and air­tight­ness mem­branes as well as trickle pro­tec­tion mem­branes and roof or wall lin­ing mem­branes) and PE, PA, PP, alu­mini­um foils used to cre­ate an air­tight seal. Bond­ing and joints are pos­sible with planed and painted wood, high dens­ity plastic and met­al (e.g. pipes, win­dows etc. ), hard­board (chip­board, OSB and ven­eer ply­wood, MDF board and soft­wood fibre sub-roof pan­els). Wood fibre sub-roof pan­els re­quire pre-treat­ment with TESCON PRIMER RP be­fore bond­ing. The best res­ults for pro­tect­ing the struc­ture can be achieved on high-qual­ity sub­strates. You are re­spons­ible for check­ing the suit­ab­il­ity of the sub­strate. Ad­he­sion tests are re­com­men­ded. Limiting factors - The bonds should not be subjected to tensile strain. After sticking membranes made of foil or paper, the weight of the insulating material must be supported by lathing. 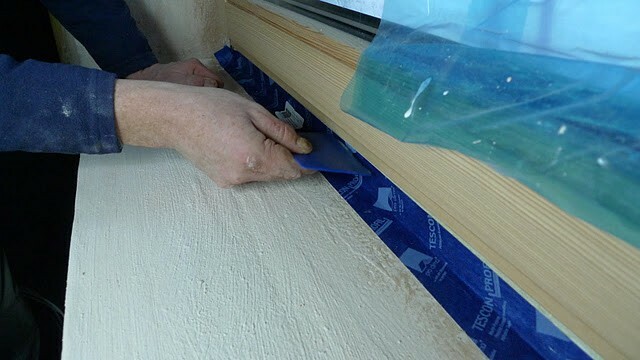 The adhesive tape should be supported by battens if necessary. Press firmly to secure the adhesive tape. Ensure there is sufficient back-pressure. Windproof, airtight or rainproof seals can only be achieved on vapour retarding membranes, roof lining membranes or façade membranes that have been laid without folds or creases. Ventilate regularly to prevent build-up of excessive humidity and use a dryer if necessary.